Now that the unholy trinity of The Laptop, The Internet and Garage Band allows every man and his dogged devotion to Dubstep to become a band, there’s an increasingly common problem. Actually, there’s a whole raft of new problems, most of which stem from the astonishingly asinine nature of the majority of these half-hearted efforts which seem to be created purely to allow another sequin-T-shirted goon to boast to his ‘peeps’ in the pub that he’s, like, a musician, yeah? But I digress. The main problems are the band names themselves. Even though English has over a million words to choose from, the same words keep getting chosen for more than one band, and thus squabbling ensues. So Ghosts aren’t the same as these Ghosts. Or these Ghosts, these Ghosts or this Ghost. Lawyers: on your marks, get set, SUE! 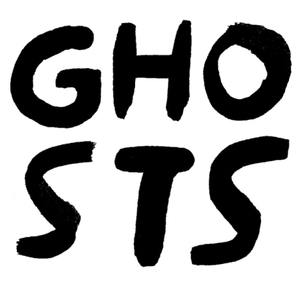 Today’s Ghosts in question are nothing like any of the others, which will at least help you to differentiate between them when confusion arises on iTunes. Ghosts‘ music is, well, ghostly. No Lake is all thick mist, throbbing murk and swirling sonic fog. Don’t be shocked if you experience both a sudden chill and visions of a dead body lying twisted beneath icy water. Ghosts are smart enough to extrapolate this sound into songs that have more soul – and Young Ghosts is the result: a rusty two minute pop song. It hisses and pops like a 1900’s wax cylinder discovered in a time capsule, and drone eerily, all the while maintaining a simple pop sensibility. Ghosts are a band swamped in fuzz, enveloped in age and washed in sepia. They are from another, indefinable age – not tomorrow, today or even yesterday. Their sound is fresh but rotted, pure and dirty like a bloodied wedding dress. Nice. Posted on November 4, 2009 by Joe Sparrow. This entry was posted in Today's New Band and tagged Creepy, lo-fi, simple sounds. Bookmark the permalink.